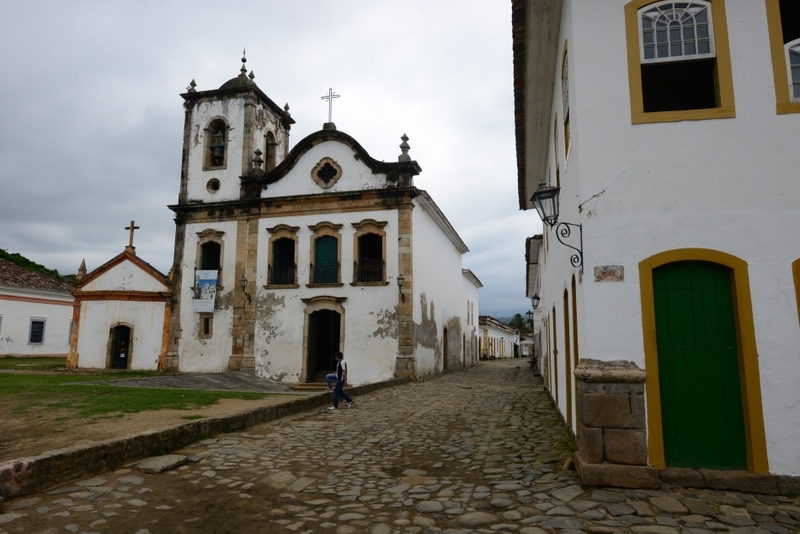 We walked leisurely in the pedestrian-only historic centre. Paved with large uneven stones, most streets in the old town were designed as a channel with its lowest point in the middle for drainage. 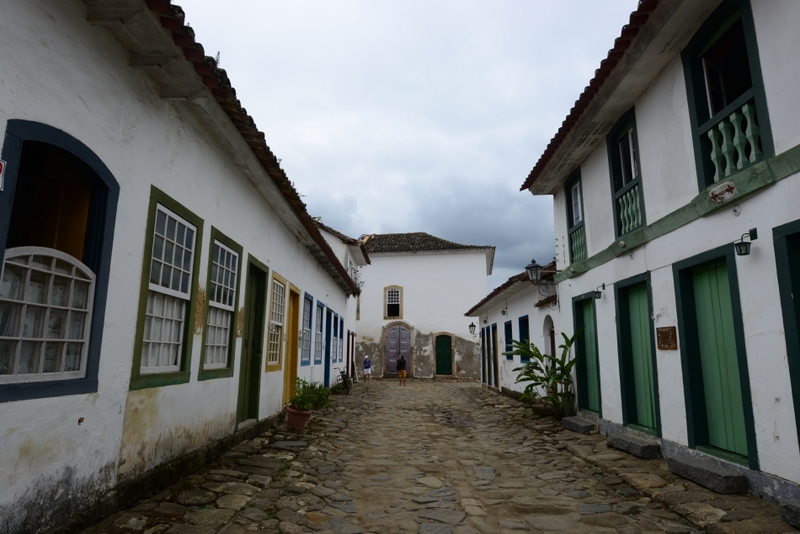 We walked by a house at which its owner was painting the main doorframe in green, one of the several colours commonly found on doors, windows and shutters in Paraty, while the walls were mainly whitewashed. 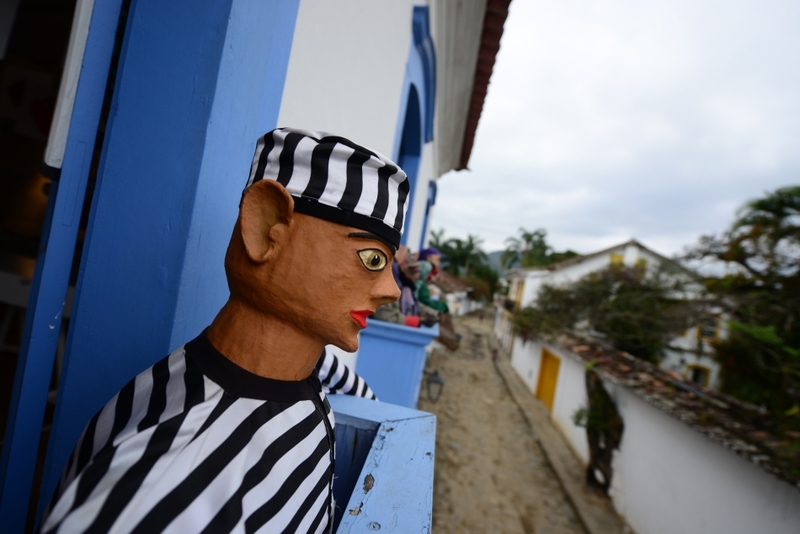 We walked by Casa da Cultura (House of Culture) and saw some interesting figures wearing colourful masks standing on the balconies overlooking the street. 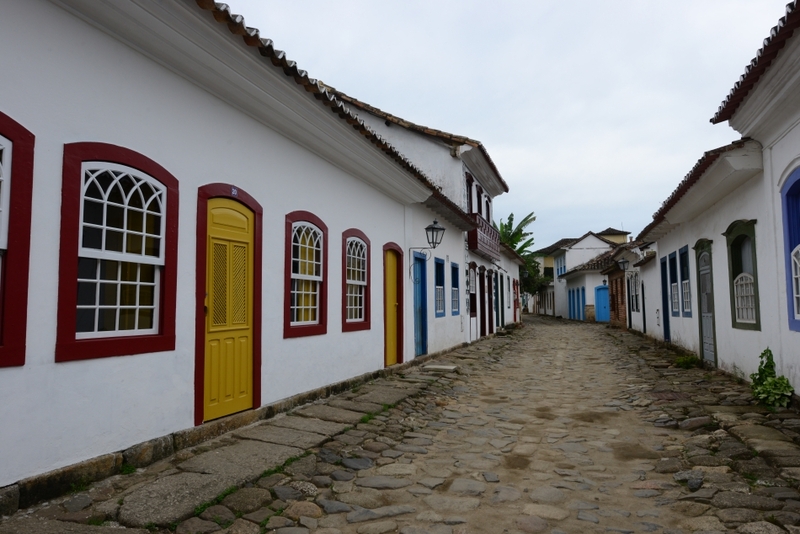 Housed in a historical mansion, the Casa da Cultura serves as a small cultural hub in Paraty. We saw some displays of knitted art and photography. 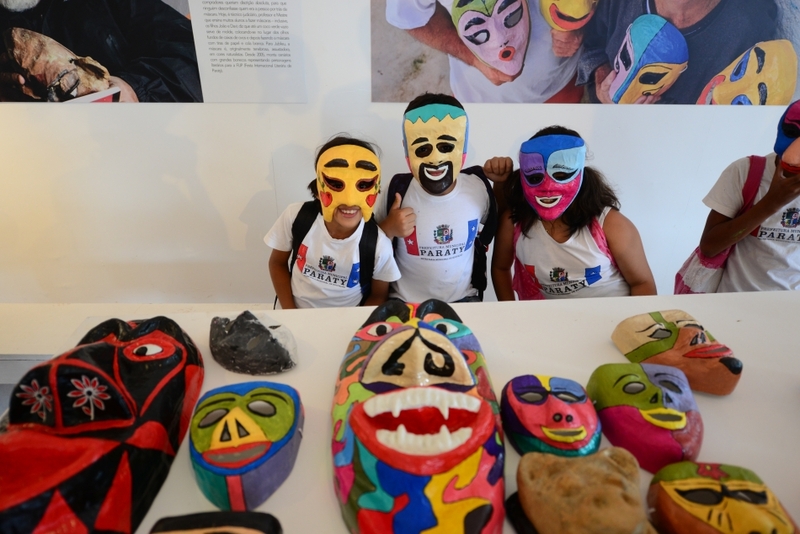 The big surprise came when we went to the upper level and found an exhibition of traditional paper masks and a school group just about to finish their mask-making class. 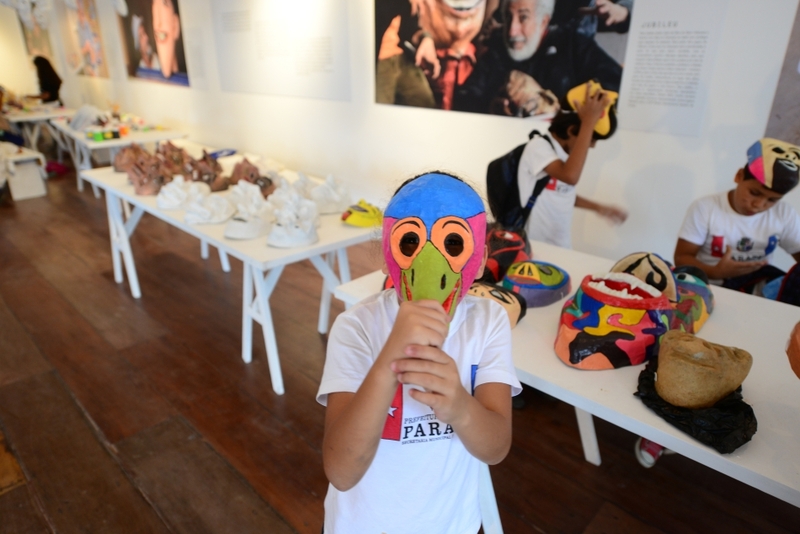 The kids were having fun running around the room and putting on the masks they made. 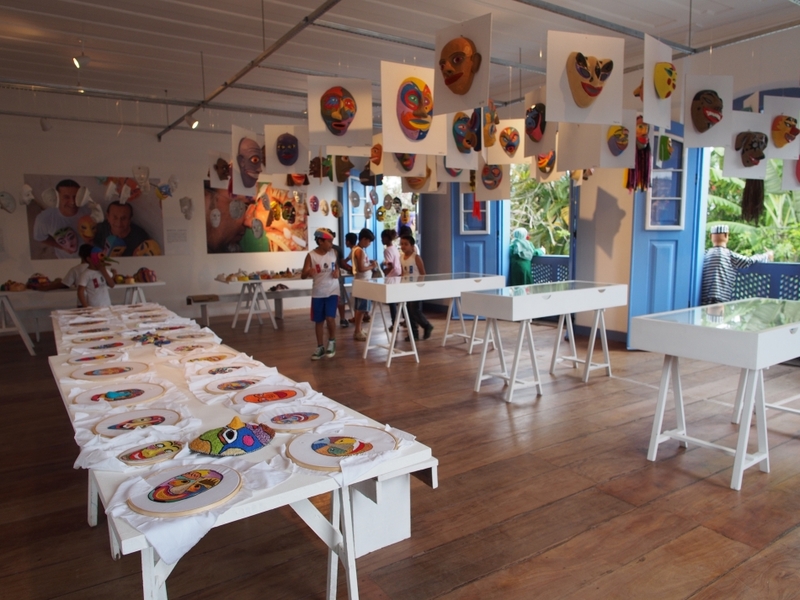 The mask display and the playful kids brought us a moment of brilliant colours in this rather greyish afternoon.